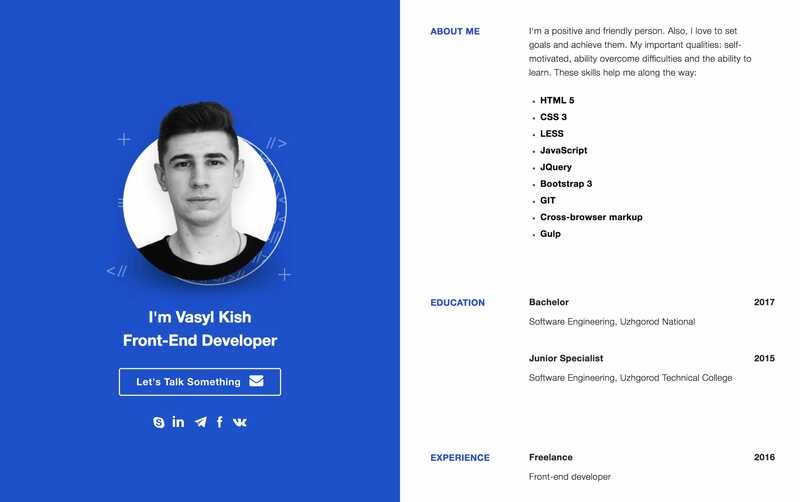 Centrally-divided One Pager for front-end developer, Vasyl Kish. Neat touch with scrolling code behind his avatar and how his head glances right when you hover over the right panel. I'm a positive and friendly person. Also, I love to set goals and achieve them. My important qualities: self-motivated, ability overcome difficulties and the ability to learn.